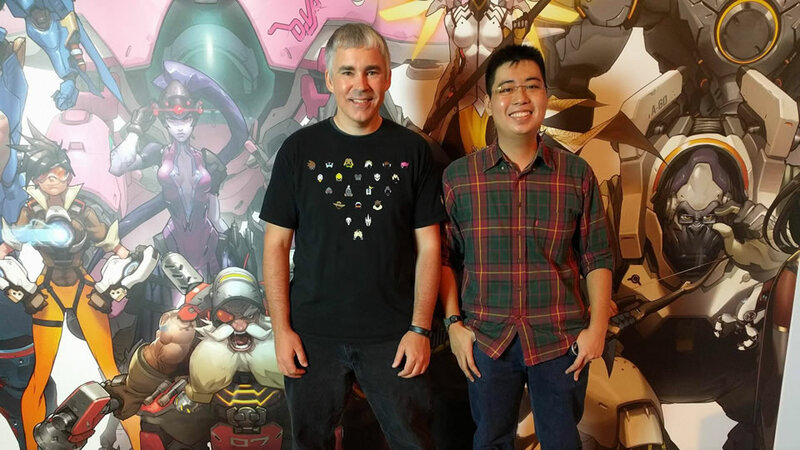 The Overwatch Launch weekend attracted thousands of eager fans from all over the island. The queues snaked from the entrance of Capitol Theatre all the way to entrance of the plaza; spirits were high and new friendships were forged in the hour long wait in the blistering heat – props to the event crew for handing out water to fans inside the queues. 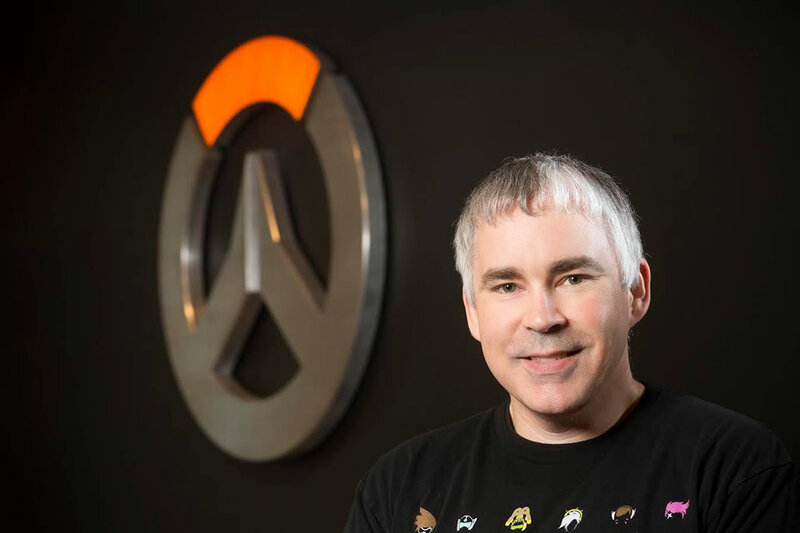 Luckily for me, I was able to enter the event hall a wee bit earlier to interview Bruce Wilkie, Principle Software Engineer over at Blizzard whose primarily responsible for Overwatch’s beautiful graphics and lighting. Overwatch runs great even on lower end and/or older PCs, were there any compromises you had to make to achieve this? Why thank you! I worked many many months to make that happen. The first time we ran Overwatch on an Intel 4400HD which is our min spec for the Intel parts, we got about 8 frames a second *laughs*. We had models rendering that were taking 150 milliseconds (just to give you a frame of reference, at 60fps you should render at 16 milliseconds for an entire frame). We attacked that problem in 2 different ways; first of all, we have to cut features, so if you play the game on the event floor today, you’ll see some nice shadows, reflections and eye candy like that. But if you play on a lower-end or older machine, you’re not going to see such high quality visuals because they just don’t have to power to do it. So we have to drop features like that. We had to drop model detail so if you look at the curves on the character’s face for example, if you look closely on these lower end PCs you can actually see their lower polygon count, we just can’t do the same things like vertex processing that the higher end PCs can do. So that’s the kind of stuff we did and at the same time we worked a lot with Intel and Intel are great partners. They gave the dev team hardware and a laptop that they thought should be the min spec for Overwatch. So we took the hardware and see how we could take the best advantage of it. We managed to get the laptops to run at 30fps. So if you look at the graphics settings for the game, you can see the frame rate clamps(caps on the frame rates during gameplay) are none, 30fps and display based, and 30fps is really for these lower end parts. Because we’d rather have you have a fluid 30fps than a spiky 40fps where the frame rates would fluctuate between 30-50fps which is not ideal so we decided it’s better to go with a solid 30 fps. You said, you had to cut some features to make the game run as smooth as it is, is there a feature that you’d love to have made it into the game? The current Netcode is disadvantageous to players located in Asia because of the difference in ping, will Blizzard be addressing this issue in an upcoming update? We try to match make you with people of similar ping so when possible, you shouldn’t be playing with North American users. MMR has an influence in the matches you play but ping also have an influence on the matches you play and so ideally you should not be in that situation and we have data centers throughout the world and you’re going to hit instances in those data centers to try and get you good ping. Does it always work ? No but that’s an unfortunate reality of where the player live. So maybe you’re playing at super early in the morning in your region there’s just not enough players of your MMR to offset the ping difference from playing with players from North America. With the release of the Pascal and Polaris chips from nVidia and AMD respectively, would we be seeing a WoW-esque graphics refresh for Overwatch to take advantage of the new chip’s processing power? Each expansion of WoW actually adds more visual fidelity. If you look at WoW, the graphical fidelity between Mist Of Pandaria and Burning Crusade, it’s clear that the textures are higher res and we up-res the models, every expansion adds graphical features and that’s going to take advantages of those better GPUs naturally. For Overwatch specifically, we target higher end GPUs through visual quality so there’s an advanced setting called render scale which allows us to adjust for lower end computers but it also allows us to go up to 200% which is effectively super sampling. Let’s just say you have a nVidia’s latest card but you haven’t gotten a 4K monitor, I don’t know… I won’t judge *laughs*. You can actually take you render scale up to 200% so would have a super sampled stable, very beautiful image and you’ll be running at 100fps and that’s just great but let’s say you did buy that 4K monitor and it’s a G-Sync monitor, well now you’re going to have amazing picture quality, great frame rate, no screen-tearing, it’s also going to take 100% of the GPU to do it but you’re going to an incredible visual experience. We’re probably not going to do new features such as lighting modes unless there are upcoming content that might them e.g. a disco ball in the middle of the map *laughs*. Otherwise the improvements you see from the new GPUs itself is the image quality and in the frame rate as we move into 4K gaming. Thank you Bruce Wilkie for you time!